After a popular USA Today article declared last month that coconut oil has “never been healthy,” the internet is abuzz with coconut oil controversy (and confusion!). And we get it. Saturated fat has borne the brunt of negative nutrition press over the past 4 decades. Even though the connection between saturated fat and heart disease has been definitively disproven, it’s hard to overlook the statement from the American Heart Association that formed the basis of this misguided article. In this post, we want to clear up two things. 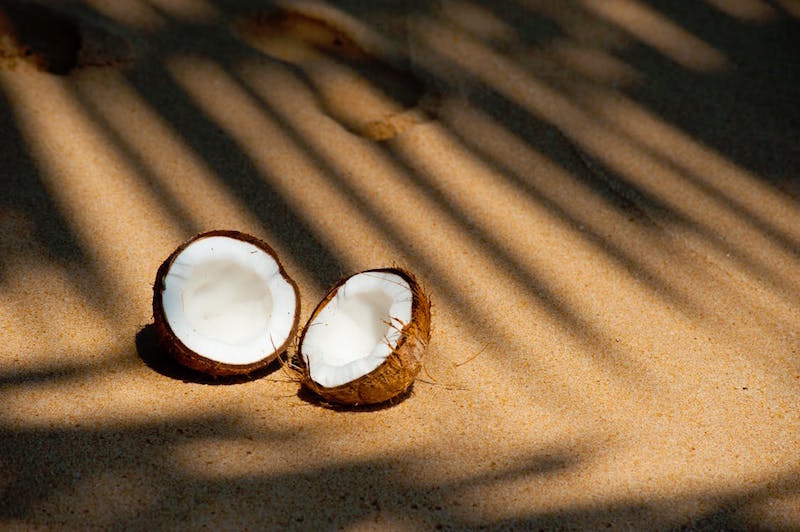 First, coconut oil is not “unhealthy,” as this editorial claimed. We’ll explain why. Second, MCT’s are in a class by themselves. Their unique metabolic and therapeutic properties set them apart from coconut oil, even when, as is the case with Wonderfuel, they’re derived from coconut oil. We’re going to keep using MCT’s derived from coconut oil, and even using the oil itself in moderation. Here’s why we think you should too. What’s Really Up with Saturated Fat? Since this story made headlines around the world, you might imagine that it’s news. You’d be wrong. We know that the AHA’s latest statement isn’t based on any new study revealing coconut oil’s nefarious characteristics, but rather a review of very old literature with some obvious flaws. Where does science really stand? The nutrition community is finally accepting that saturated fat isn’t the root of all evil. A 2010 study published in the American Journal of Clinical Nutrition found that saturated fat intake was not associated with a higher risk of coronary heart disease or cardiovascular disease, and a review from 2010 of 21 similar studies found the same result. Research indicates saturated fat does increase bad cholesterol. But that isn’t the whole story. Saturated fat also raises your “good” HDL cholesterol and changes the composition of your blood cholesterol, from small and dense (bad) to large and fluffy (good). A rise in cholesterol doesn’t necessarily mean a higher risk of heart disease. One group of researchers suggested in an editorial in the British Journal of Sports Medicine that it’s inflammation, likely caused by refined carbohydrate consumption, that’s triggering heart disease. In a 2015 review, researchers examined studies of saturated fat and refined sugars and found sugar had a greater impact on cardiovascular disease risk. In light of this, a balanced diet rich in healthy fats seems safer than the sugary “low-fat” one recommended by the AHA. Wonderfuel is designed as a convenient and delicious way to experience the cognitive and physical benefits of MCT oil on a regular basis. Our MCT oil is exclusively derived from coconut oil (as opposed to less-sustainable palm oil), but it is not the same thing as coconut oil. MCT’s are in a class of their own. Coconut oil is composed of both Long and in varying combinations. Our pure MCT oil consists primarily of Capric and Caprylic Acids. Like each of the 4 types of MCT’s, these are readily absorbed in our guts and completely bypass glucose production, providing a quick hit of mental clarity and energy straight to our brains. This process also ensures that MCT’s aren’t stored as fat—instead, they are quickly metabolized to be used as energy. What’s more, studies show they actually lower “bad” cholesterol. In one study, researchers compared olive and MCT oils and found MCT oil had no adverse metabolic effects even though it’s a saturated fat. Plus, MCT’s have proven benefits for cognition and weight loss. As even the USA Today article that kicked off this hubbub pointed out, MCT oil is generally accepted as “above the fray” when it comes to coconut oil’s controversial standing. So, no matter where you stand on coconut oil, know that Wonderfuel’s MCT’s are different. Years of research back their positive benefits on body composition and even cholesterol, and their unique metabolic properties make them a safe source of clean energy. Check out Wonderfuel here to see the difference for yourself!